Preseason is starting to wind up for many local and AFL clubs as the season is quickly approaching and the AFLW is hitting the finals of it’s biggest season yet, but what injuries should we be looking out for? And what can we do to prevent them? It feels like every week we see another Anterior Cruciate Ligament (ACL) rupture in the AFLW, yet it is rarely seen in the AFL. Why is that? After seeing two season ending knee injuries before round two, and many more since, I thought it was the perfect time to explain why it happens and how we can work to build a stronger base to reduce the chances of it occurring. At the end of the 2018 AFLW season, the AFL released their inaugural AFLW Injury Report. Their studies showed that after the first two seasons, the top two injuries were ruptured ACLs and concussions. Other reports have indicated that women can be anywhere between two to eight times more likely than men to rupture an ACL. After hearing these facts, I thought I would outline some of the key risk factors, and what we can do to reduce our risk of injury. Q-angle: this is a term used to describe the angle between the quadriceps tendon and the patella tendon. This angle is formed by drawing a line from the Anterior Superior Iliac Spine (ASIS – anterior bony prominent on the hip bone) down to the centre of the patella (kneecap), and a second line running from the tibial tubercle (most prominent bony surface of the shin, just below the kneecap) through the centre of the patella, then calculating the angle between these two lines. Although the normal Q-angle is variable, the normal Q-angle for men is approximately 14 degrees; whereas for women it is approximately 17 degrees. 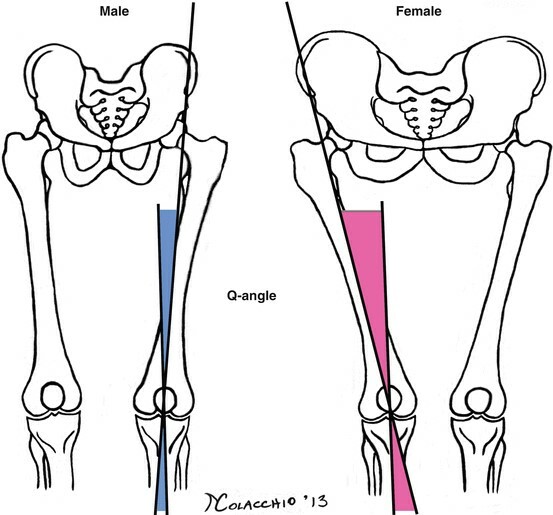 The wider pelvis and increased Q-angle in females is linked to the higher number of knee injuries, in particular ACL injuries, in women due to the decreased knee stability, decreased shock absorption properties in the knee. Wider hips (increased Q-angle; resulting in women weight-bearing through their feet differently to men). Apprehension in contact sports: from a young age, boys are encouraged to be physical and partake in contact sports, whereas for many years girls were encouraged to play non-contact sports. This has led to a greater level of apprehension in girls when it comes to tackling or entering into contests. The hesitation and lack of understanding or knowledge when entering into a contest can result in improper technique being used, which typically tends to result in injury. Exercise Physiology: seeing an exercise physiologist to get an assessment done and a personalised program written to help strengthen any weaknesses that may be present. Osteopathy: booking in with your osteopath to get an assessment done is one of the best things you can do for your body. The holistic approach taken by osteopaths in their diagnosis and treatment looks at the way in which the structure and function of your body are reciprocally interrelated. Without knowing it, you may have compensatory patterns present that are leaving you more susceptible to injuries. Osteopaths can also help with any of those recurring niggles that you might feel, and help to reduce the chances of you sustaining a season ending injury. 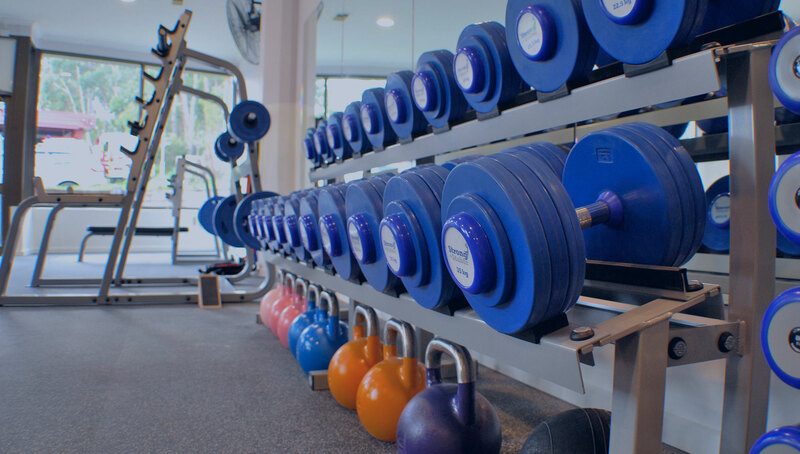 If you have any further questions, or are interested in making your body as Strong and Stable as it can be leading into the upcoming footy season, call us on 03 9762 0976 and book in for an Osteopathy or Exercise Physiology session.